PAVED Arts is mandated is to support local, regional and national artists working in the ‘PAVED’ (photographic, audio, video, electronic, digital) arts by operating an access and production centre for media and new media creation, while simultaneously operating a presentation centre that exhibits and disseminates contemporary visual, media and new media art in time-based, gallery, and off-site modes. PAVED Arts is a non-profit, artist-run centre for production, presentation, research and dissemination of contemporary media arts. PAVED Arts is located at 424 20th Street in the heart of Saskatoon’s core neighbourhood. 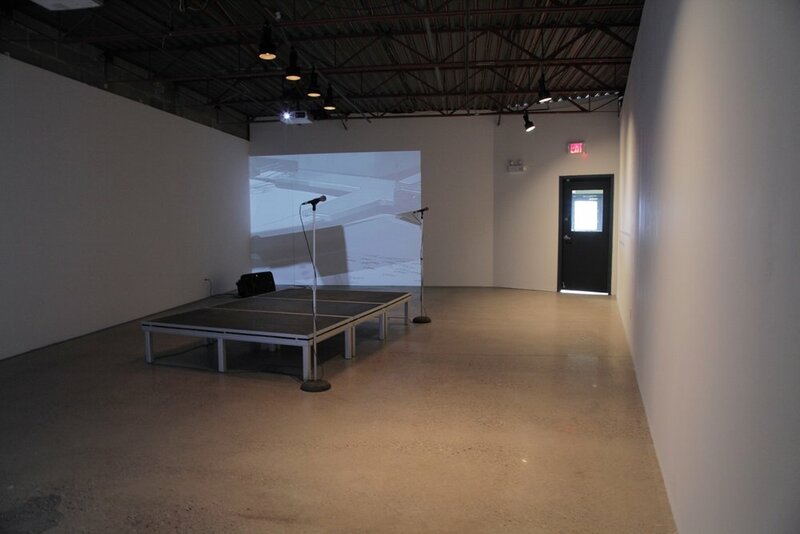 We have over 3000 square feet of galleries, offices, production suites, a library and a multipurpose event space. Our presentation facilities include a 1200 square foot main gallery space, an adjacent, acoustically-separated media gallery, and a programmable (50′ wide x 14.75′ high) billboard space mounted onto the front facade of our building. Laura St. Pierre's installations, sculptures, public works and photography have been exhibited throughout Canada and abroad. St.Pierre earned undergraduate degrees at UBC and the U of A, and completed a Master of Fine Arts degree at Concordia University in Montreal. She has received arts grants from the Conseil des Arts et Lettres du Quebec, the Alberta Foundation for the Arts, the Saskatchewan Arts Board, and the Canada Council. Exhibitions in 2018 include "Winter Garden" at VivianeArt (Calgary), "The Museum of Future History" and the Dunlop Art Gallery (Regina), "La vie fragile" (Montreal), and a new video project at PAVED Arts (Saskatoon) as part of the Roadside Attractions series developed by the the Dunlop Art Gallery (Regina). Laura St. Pierre was curated by PAVED Arts.